X-Plane 11 is the world's most comprehensive, powerful flight simulator, and has the most realistic flight model available for personal computers. What's New in X-Plane 11? Overhauled fleet: Aircraft models that stand up to scrutiny, from the gear trucks to the rivets. Brand new G1000: Many general aviation planes now feature a simulated Garmin 1000. 3-D cockpits: Every aircraft in the fleet comes with a beautiful, usable 3-D cockpit. IFR-ready cockpits: Every 3-D cockpit is usable for instrument flight. Brand new user interface: Easier to learn for new users. Faster for power users. Tutorials: Learn the basics of flight, navigation, & more in X-Plane. Improved 3-D cockpit interaction: Cockpit controls are easier than ever to set just right. Pushback tugs & fuel trucks: Watch other aircraft get service, or request services for your own aircraft. New lighting, sound, & effects engine: Bringing new tools to aircraft add-on makers. New scenery for Europe: Roadways, buildings, & more now feature European-specific variants. X-Plane 11 System Requirements: X-Plane 11 requires a high end machine. If your system is borderline, we encourage you to try the demo first. The full version of the simulator will perform exactly the same as the demo—neither better nor worse. Linux: Varies. While X-Plane 11 will run on Linux, we don’t provide support for specific distributions; if you want to run on Linux, you will need to try X-Plane on your distribution to see if it is compatible. With that in mind, we have developers using Ubuntu 14.04 and 16.04 LTS successfully. IMPORTANT DELIVERY INFORMATION: You can choose either a phyiscal DVD set that is shipped or a digital download edition of X-Plane 11. If you select the download you will not be shipped any disks. Instead, you will be given a link to download X-Plane 11 as well as a product key to activate the download. FULL installations with ALL scenery for ALL of Earth takes about 5 to 35 hours via broadband download, depending on many factors. Of course, a user can select as much or as little scenery as they would like to install when they run the installer. This is a very large download! We generally recommend getting the DVDs instead. 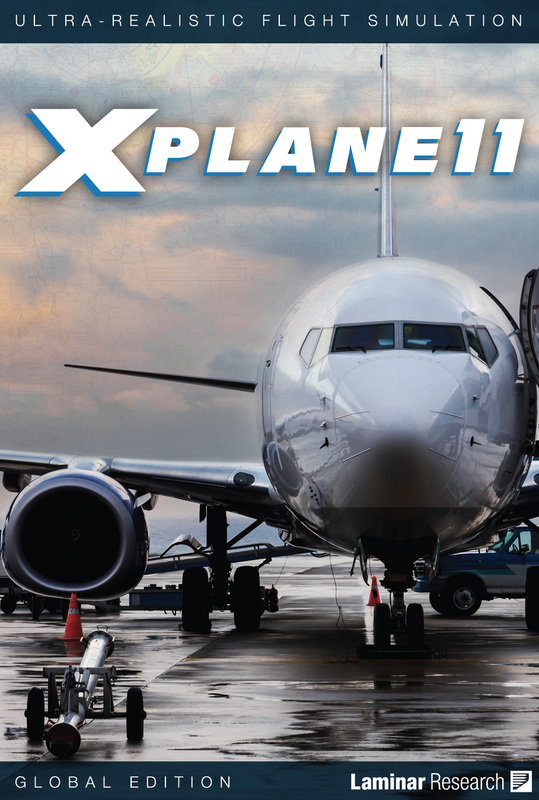 If you prefer to get the DVD version of X-Plane 11 everything will be available on the DVDs but you will NOT have the option for immediate download. Review: I moved to Xplane from FSX (used FSX for about 3 years), and Xplane blows it out of the water. Feels and looks very realistic. You can download the Zibo Mod 737-800 for FREE, which has a fully capable FMC and VNAV function, and terrific sounds. The Zibo 738 makes IFR flying a delight. It is just as good as a $60 - $70 aircraft add on in my opinion. Alot of freeware planes and scenery. I am extremely happy with Xplane thus far. Review: No word needed. It's amazing. Great product, great price, received quickly. Pros: Many free aircraft and add-ons available. Review: X-Plane 11 is a great product, and I could not find anything that could beat it for the price. It does everything I need and much, much more!!! Don't short yourself or the program by getting a bare minimum game system. Review: Not overly impressed. P3d is superior in visuals in my opinion. Review: Outstanding sim! Very realistic and brings back many hours of the real airplane. NO question, it will certainly teach the instrument scan again. Review: Very difficult for beginners. Cons: None for the price. Q: My DVD set just arrived, but I'll be giving it as a Christmas present to a person who has a new iMac that doesn't have a DVD reader. Can we download it from your cloud, or do I have to get a USB-DVD reader? A: We offer a choice between DVD and download, but be aware that this is on 10 DVDs so the download, even on a fast connection, could take 20+ hours. Many people find that getting a $13 external USB DVD reader is the better way to go.